Lois Ella Brown, 101, passed away Monday, July 11, 2011, at the Southington Care Center. She was predeceased by her husband, Frank Brown. She was born June 11, 1910 in Somerset, Mass., daughter of the late William and Mabul (Cluny) Hacking. Lois was a graduate of the Fall River High School and the Perry Normal School in Boston, Mass. Prior to her marriage she taught school in Somerset, Mass. With her husband Frank they owned and operated the Pine Hill Poultry Farm and Hatchery in Milldale for 27 years. 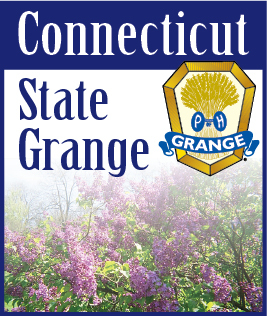 Lois was a member of the First Congregational Church of Cheshire and the Southington Grange. For many years she was loved and cared for by her friends, Ken and Ceil Wilson, Otis and Mary Sheppard, all of Cheshire, Barbara Kelley, of Southington; and the kind staff of the Southington Care Center. A memorial service for Lois will be held Wednesday, July 20, at the First Congregational Church of Cheshire, 111 Church Drive, 06410 at 4 p.m. Interment of Lois' ashes will take place in Oak Grove Cemetery, Fall River, Mass. There are no calling hours. The Alderson Funeral Home of Cheshire, 615 S. Main St., is assisting with the arrangements. Donations in her name may be made to the First Congregational Church of Cheshire, 111 Church Drive, CT 06410. To view these arrangements online, send a condolence, or light a memorial candle, please visit www.aldersonfuneralhomes.com.